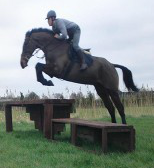 Leisure Lakes Equestrian Centre is situated in the Leisure Lakes Camping and Outdoor Pursuits Centre. Set in the picturesque village of Mere Brow and close to the sea side resorts of Southport and Blackpool, Leisure Lakes is the perfect place to bring your caravan or pitch your tent, kick back, unwind and make the most of your surroundings. The equestrian centre is the ideal place to keep your horse on livery,bring your horse on holiday or enjoy hacking around 300 acres of unspoilt parkland on one of the centres carefully selected animals. Perhaps you’d like to improve your skills with one of our dedicated instructors or trainers or just bring your kids for a ride on one of our donkeys ,whatever your equestrian requirements we have something for everyone. Some of our facilities are available to hire but please note, these must be pre-booked. Our Liveries enjoy friendly experienced staff offering a full range of livery services, from D.I.Y.and occasional cover, right through to Full and Competition Livery. 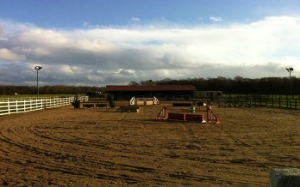 The facilities: Post and rail exterior fencing, Off road hacking, 60m by 30m outdoor floodlit arena, Full course of show jumps (coming soon), Cross Country training fences (coming soon), Lunging Paddock, Kitchen Area, Secure Tack Room, 24 hour Supervised Premises and Resident instructors that make all levels feel welcome.